In 2016, just before Christmas, I was making frantic nonstop trips to and from FedEx, along with my team. We were getting shipments of Tinsel’s first Dippers — they were coming in from China, being inspected and tested and logged, then shipped out to our first backers. We were too broke to employ a 3rd party logistics provider, so this was being done by me, my co-founder, and our project manager. Our close friends even chipped in to help. Word to the wise: DON’T ship first your first units around the Christmas season. That moment feels like such a long time ago. I’ve spent at least a year mourning my greatest failure while simultaneously living a new chapter in the story of my life. 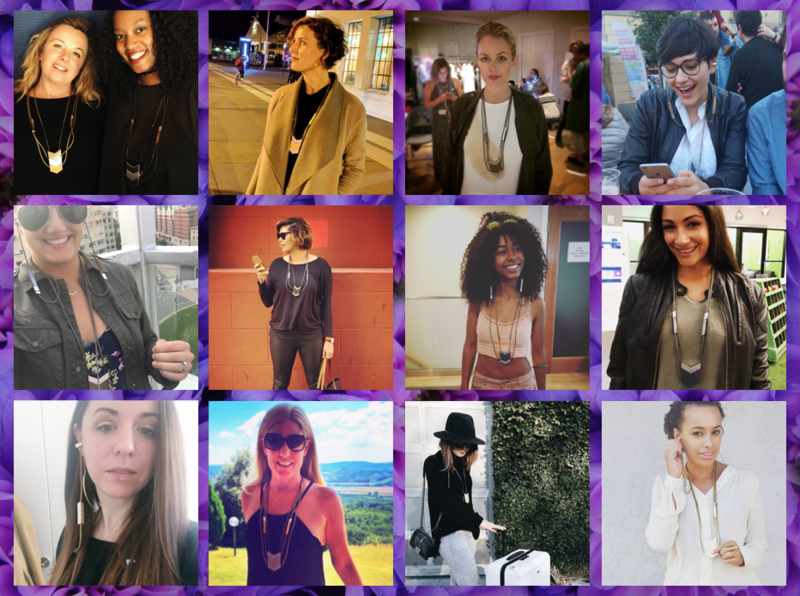 The new chapter wouldn’t be possible without the years I spent building one of the first and few women-led fashion hardware startups. But I’ve leapt into this new chapter, fully. There is one less of us left standing now. Let me rewind: more than four years ago, in September 2014, I had this idea burning a hole in my brain. I was annoyed with digging a rat’s nest of wires out of my bag when I needed a pair of headphones. 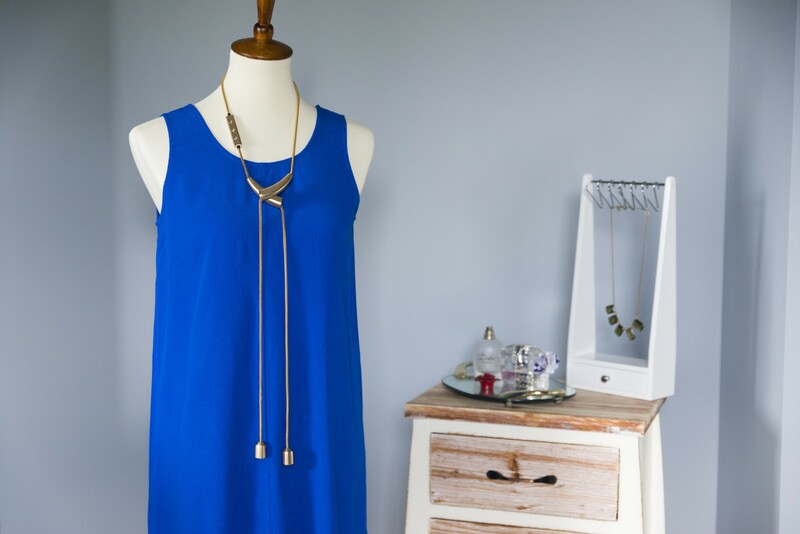 I wanted a solution that I could wear everyday as a nice, quality piece of jewelry. I tried looking for this “thing” as a product I could buy. I searched the far corners of the internet… and it didn’t exist. Then I got this crazy idea. Maybe I could be the one to make it exist. This is the first email I sent to the first person I that thought could help me, my longtime friend and designer, Jason. 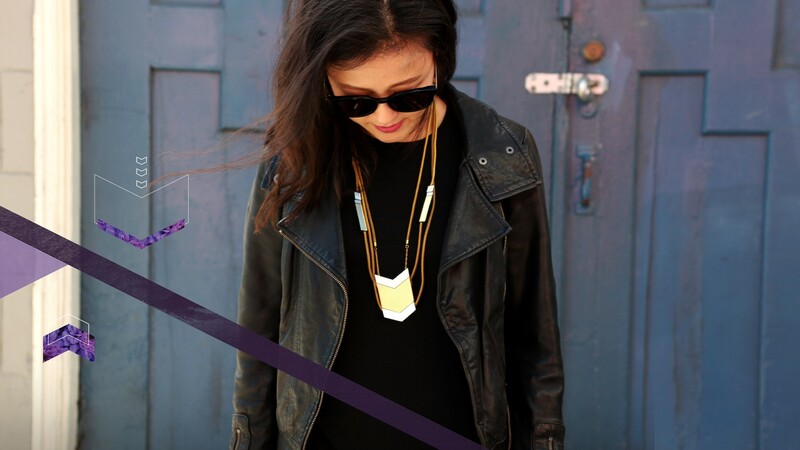 When I started Tinsel, I didn’t know if creating necklace headphones was even possible. Part of me wondered if that was why no one else had done it yet. But you see, I really like challenges, especially when everyone else says it’s too hard. And I decided to sink my teeth into this one. Before Tinsel, I never considered myself to be into fashion — just fashionable, maybe. And I certainly had no experience in consumer goods. But that was part of what made the idea so exciting! Tech has this ability to make people feel like they can change the world. In some ways, it’s true. In my case, I knew that whether I had keen fashion sense or not, I have always been a creator. Since I was a kid, I was crafty. I’ve always loved making things and had a ton of hobbies. I had zero experience in manufacturing or designing electronics, but I was fairly confident that I could find people who did. I told myself that I was going to take this idea and keep running with it until I hit an insurmountable obstacle. Now, let’s not get it twisted. There were many mountains that were climbed by me and the awesome team I got to build Tinsel with. But when failure “happened”, it didn’t feel we were fighting our way uphill. There wasn’t one big explosion or hairy problem that we couldn’t solve, per se. It felt more like trying to run in water… like being dramatically slowed down by the forces against you. Like sloooowly bleeding out. Many, many, many stories have been told about failed hardware startups. It’s always fascinating reading about the ways in which we rise and fall. Hardware is its own special hell (and heaven). You experience the feelings of playing god and being dragged down by the devil equally. Every. Damn. Day. 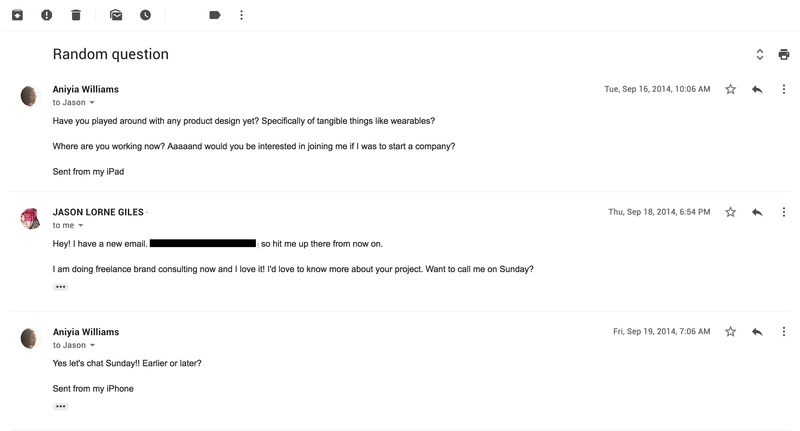 In the weeks that followed that first email to Jason in 2014, I started asking my friends and co-workers if they knew any industrial designers. Jason had given me enough of a hint to start there. I needed to take the vision in my head, and make it into something people could see and touch. One of the people I talked to was the CEO of the startup I was working for at the time. We had a great relationship. And when I asked him if he knew any industrial designers, he immediately connected me with Ed Kilduff (he’s designed housewares you love, like The Rabbit/Houdini wine opener) who would become a valued advisor to me. I was quickly told by Ed that hardware is a crazy, expensive endeavor that takes a long time. I was told that not many people have the stomach for it. But this only fed my challenge-demon, making me want to do it even more. So I was advised to go back to my boss (who also happened to be an angel investor) and ask him to support the project. My boss also reiterated the challenges of hardware, but thankfully decided to take a chance on me, and with that I decided to quit my job and dive in right away. From the beginning, my close friend Monia Santinello stepped up to help in her spare time, helping me flush out ideas and vet proposals. Do yourself a favor and get you a ride-or-die co-founder and friend like Monia. There are so many stories of the ways that this woman saved me, kept me strong, dug into hard problems without blinking… I knew that she was meant to be my co-founder at CES 2015. When it rolled around a few months after starting Tinsel, I decided go last minute at the urging of Ed. Monia, who has a husband and two young kids, jumped on plane to Vegas with me with less than 6 hours notice. Then, there was this priceless moment when I was on the expo floor having a challenging conversation with a Chinese headphones manufacturer, and Monia jumped in speaking Mandarin. I decided then to put a ring on it. She was virtually my second spouse throughout this journey. We’ve been through the highest highs and lowest lows together, and we’ve held each other down each step of the way. There were no shortage of challenges during our journey. But when we look at brass tacks, it comes down to money in and money out. Making a name in hardware is a David and Goliath game. Hardware is a ridiculously expensive business to get off the ground. 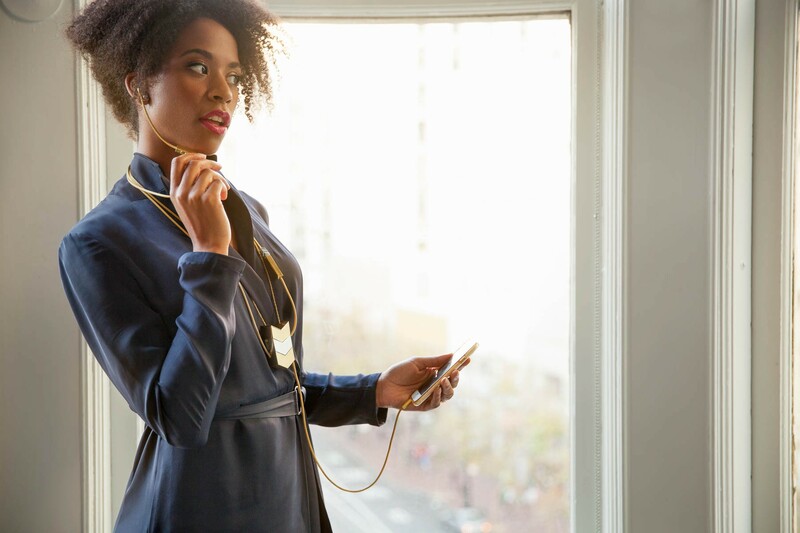 And as far as raising investment dollars goes, I had all the strikes against me: black, female, hardware founder (without previous experience in hardware), and soon after starting Tinsel… a baby. Sheesh. Let’s just say that there were few who were willing to wager that bet. Counted in that few was Backstage Capital. I can’t imagine that you haven’t heard of Arlan Hamilton, but ICYMI, she’s got an exceptional eye for talent, and she’s been funding, hiring and supporting us underdogs at a rate unprecedented in the industry since 2014. And she’s still pushing that Overton window for VCs in the Valley. In total, we raised just shy of $500K during the lifetime of Tinsel. It may sound generous, but having that much to manufacture a luxury electronic product from scratch is like using the change you found in your piggy bank to build something. To the hardware industry, it’s pocket change. We turned water into wine. Today, I think a lot about choices I could have made differently, about the ways I failed big and small. But in truth, I am grateful to even have had the opportunity to fail. So few women and people of color are afforded the learning experience of building a tech company from scratch. Almost all of our funding went to product development and manufacturing expenses. But we were able to successfully produce a patented luxury electronic product with a fraction of what established companies have at their disposal. This remains a source of pride for our team. It’s a testament to our resourcefulness, to our pragmatism around managing what money we had, and to taking no sh*t when it came to handling international vendors. I remember the unforgettable feeling after my first trip to China. I left saying to myself, “I can make anything”. All that said, there were many challenges that began to add up: the original form factor of the earbuds had to be revamped while maintaining the same sound profile. The chains had to be redesigned many times to prevent hair/fabric snagging. Our manufacturing consultants screwed us over. The primary contract manufacturer we were tethered to was good during prototyping but fell down massively in production. We had to bite the bullet on CNC after we already had die-cast tools made. The trials and tribulations of getting the right gold and gunmetal coloring could have gone on forever. Getting Apple developer certifications and parts was a beast onto itself. We struggled to raise a proper round of funding. Crowdfunding was the hardest thing I’ve ever done in my life. Apple did away with headphone jacks! The list goes on. We readily tackled these things one at a time. But what remains after each instance is a little bit less money, time, and energy to power through. I’ve long held “failure is not an option” type of views. This, and my passion for beating down challenges, kept me going for a long time. Then, in January 2017, burnout hit me like a brick. In my head, it felt like it was all or nothing and I had to keep pushing. But my body was fighting me, and digging deep to “power through” became an increasingly ineffective tool for me to get to the next milestone. I could think of a million ideas on how to get “unstuck”. But I couldn’t muster the energy to do any of them. That isn’t a normal feeling for me. At the same time, I started to feel invigorated by new opportunities that were coming my way. I’d been spending time helping other underrepresented founders alongside building Tinsel. And that eventually became Black & Brown Founders. Unlike the drain I was feeling with Tinsel, the appetite for what I was doing with BBF was huge. The feeling of having created something with product-market fit out of the gate was overwhelming. So many factors felt like they were pushing me to use what I had learned to bring other founders along. I can’t only tell you a sob story. 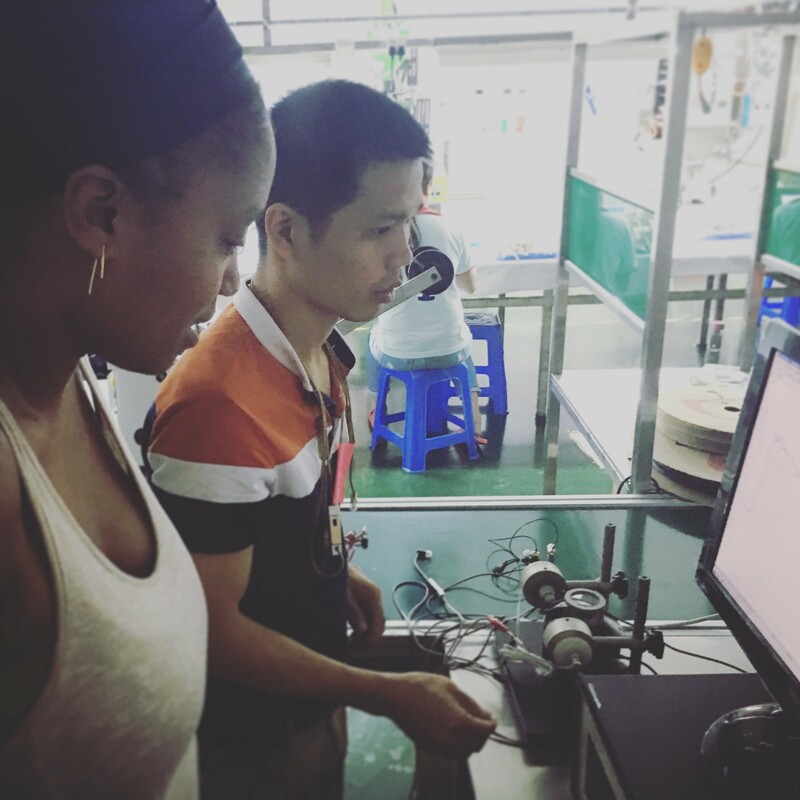 In the spirit of what I do now (helping Black and Latinx tech entrepreneurs) and paying it forward, I’ve got to leave my fellow hardware founders with a few Chinese manufacturing pro-tips. I want the next wave to go farther and faster than we did. In my experience, what’s written on a piece of paper matters less than a contract manufacturer’s (CM) need to maintain their reputation and relationships. You cannot expect to follow typical American attitudes and customs when doing business in China. Ultimately, your CMs will decide whether to do right by you based on the respect that they have for you, and the opportunity they see in the product you are building. This is particularly important for hardware startups. As a newcomer, you have little leverage in the beginning to negotiate, aside from your intellectual property and cold, hard cash. We got over this initial hurdle by getting in the door with the help of consultants who already had established relationships. There was some benefit to this approach, but we later found it also had some major drawbacks. In general, you have to be mindful of power and leverage at all times. This is especially true for women doing business in China. You need a clear picture of what you want to accomplish at all times, or you’ll find yourself in product purgatory forever. In the beginning, I spent a good bit of time taking headphones apart and putting them pack together, pinning inspirations onto secret Pinterest boards, and modeling the concept in my head with clay and beads (creating my “Frankenstein prototype”). By the time I got to team up with our industrial designer, I had a firm list of requirements that beautifully came to life with her work. But during the manufacturing process, many things change. We had issues with the sourcing of certain components and with the fabrication of others. You’re constantly contending with new costs and lost time. Add to that the battle of getting an electronics manufacturer to understand the finer details of jewelry… you can lose sight of the big picture fast. For every success story I’ve heard about making a product in China, I’ve heard roughly ten horror stories. There are tales of getting ripped off, poorly scoped projects, and corners getting cut. We’ve been burned by vendors, too. Chinese CMs are HIGHLY EFFICIENT and usually very good at what they do, but many problems grow out of the assumptions we make as Westerners. We often assume that the factory sees the vision of how a product will be applied to the real world in the same ways we do. Not true. Further, they make money in the itty-bitty margins between what they charge us for making our stuff, and the actual cost to procure and fabricate. They often try to increase this margin by making changes that they think are imperceptible. This comes in the form of tweaks, replaced materials, or changes to processes that they hope will have little effect on the end product. I do not know one hardware founder that hasn’t experienced this in some shape or form. Sometimes the result is costly. For example, your prototypes and samples may be made with a higher grade metal alloy that you, as their customer, see and approve and are ready to make at scale. But, if you haven’t defined in your specifications that they must use this EXACT alloy, sourced from this EXACT vendor each time, you best believe they will be swapping it out for a cheaper version from a cheaper source with the belief that the end result will be negligible to you or your end customer. It’s also highly unlikely that they’ll tell you about this. Because sometimes you notice, but sometimes you don’t. I also find that negotiations don’t go anywhere without having built some rapport first, and they never effing end. Business deals with suppliers and manufacturers are extremely fluid. They won’t hesitate to come to you with news that something has changed which adds a new cost or fee. And then negotiations start all over again. In our experience, negotiations were ongoing, even after papers were signed and work had already started. 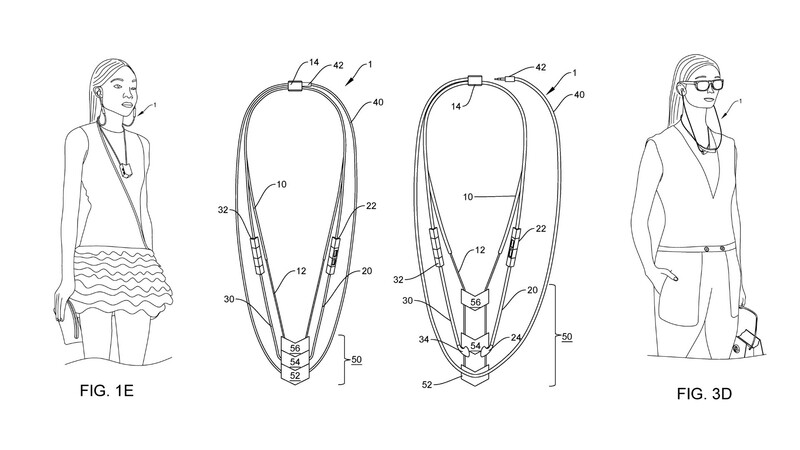 Yeah, in case you missed that caption above… we were granted and issued a utility patent last year for what we created. 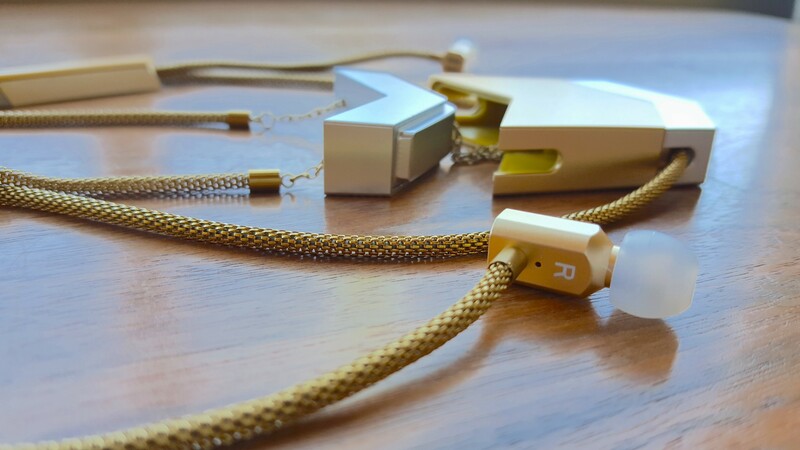 The world’s first audio necklace. I am a U.S. inventor, y’all. Like, for reals. For the record, I think that the industry of wearables has still only scratched the surface. Tinsel is currently sitting on prototypes and designs for electronic jewelry that we never got to bring to market and no one else is making. Tinsel was a labor of love. Not only by Monia and myself, but so many of our close and extended friends and family. They supported us in every way they could, from crowdfunding contributions to testing units to writing blog posts and more. I will be forever grateful for every ounce of what others contributed to this dream. Tinsel would not be possible without it. If you’re a rocket scientist, and you follow @tinselwear, you’ve probably noticed that we don’t really post on socials anymore. We are still accepting and fulfilling orders, but our inventory is low. And I’m sorry to say that we won’t be supporting the product after March 2019. If you want a piece of history, or if you collect rare items, or if you just wanna look fly while you commute to work, then you should probably act soon. Because, let’s be real: we deserve better than Airpods. I actually started to sketch an idea for an add-on accessory for airpods that would glam it up a bit when they’re not being used…. but I digress. Even though I’m finished crying and sighing (for now), I feel pain in knowing that there’s still value in what we built. It may not have been our time. The pain point may not have been strong enough. The subjective tastes of fashion may have proven too much. Maybe we should’ve went with Bluetooth out of the gate. That, this, and 994 other reasons are why you are reading this right now. We lost this one, but man... we f*cking did it in style. Considering my new line of work, it will all be worth it if my story helps my daughter and other women of color tap into themselves and run fearlessly into the unknown. founder of black & brown founders and tinsel. co-founder of zebras unite. inventor. musician. hair magician. techie. mommie. that's me.